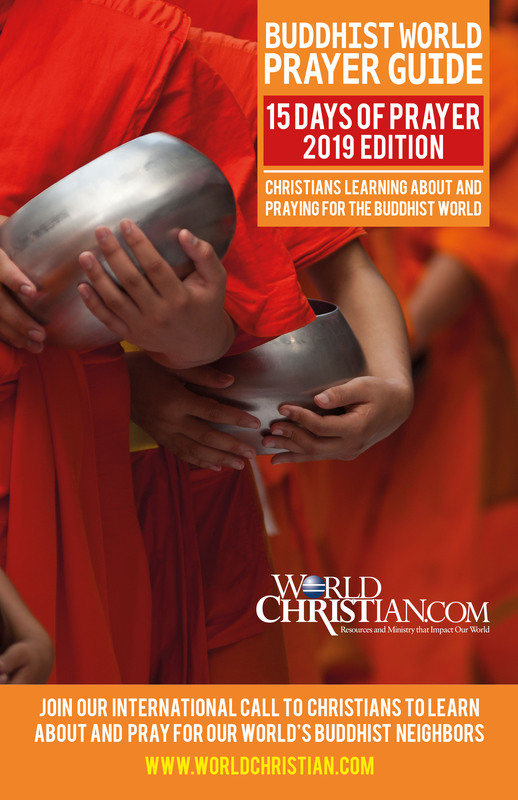 Our very first annual Buddhist World Prayer Focus calls Christians and churches worldwide to set aside ANY 15 days in 2019 to learn about and pray for our world’s over half a billion Buddhist neighbors. The informative prayer guide booklets will help Christians to know how to pray for the people(s) growing up within this major world religion. Over 1.2 billion Buddhists around the world wait, daily lighting incense, giving alms, and bowing to golden images, hoping to escape the suffering of this world. Join thousands of Christians around the world and pray to see God reach these seekers of enlightenment and truth. Over 1.2 billion people live within the religious and cultural sphere of the teachings of Buddha, daily lighting incense, giving alms and bowing down to golden images in hopes of escaping the suffering of this world. Surely it is time for us to ask God for an outpouring of His Spirit among these people seeking enlightenment? In this prayer guide, we introduce some of the major countries and people groups where Buddhism is dominant. We ask that you take this prayer guide and let God use it in your life to bring an awakening and compassion for Buddhists, resulting in ongoing prayer. When we pray, we believe that God acts. May you be blessed as you pray for God’s kingdom to come and for His glory to be manifest among millions of Buddhist people. Buddhists live all over the world. However, the majority live in Asia. China, Japan, Thailand, Vietnam, Myanmar, Sri Lanka, Cambodia, and South Korea each have more than 10 million Buddhists. 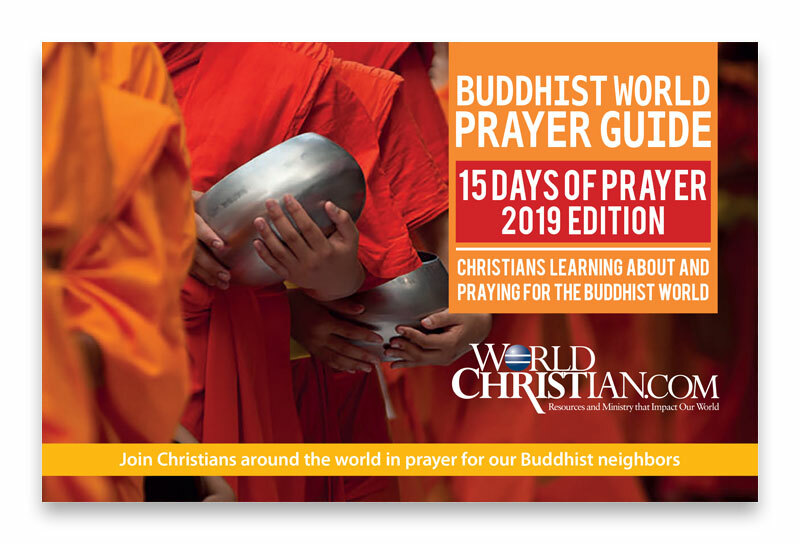 This high-resolution, full-color poster is used by many ministries and churches to help spread the word about the 15 Days Buddhist Prayer Focus. Feel free to print and distribute it.